“I don’t make music for free, I make music for freedom,” Chance The Rapper boasts on Coloring Book, his third mixtape (or fourth, depending on how you classify Surf, his outstanding album last year with Donnie Trumpet & The Social Experiment). From just about any other rapper, bragging about giving away music in 2016 would seem embarrassingly out of touch, but nobody else makes free albums quite like Chance. Like its predecessors, Coloring Book is so spirited, so affirming, and so generous it makes you seriously consider donating whatever you might have spent on it to your favorite charity. As promised, Coloring Book is eminently tweetable, and a strong candidate for a Grammy should the committee reconsider its rules. Yet “Ultralight Beam” proved an even more prescient teaser for the mixtape than anybody expected, given how fully Coloring Book runs with the gospel overtones that peppered The Life Of Pablo. In a display of kinship, Kanye repays Chance for his verse by lending a punchy chorus to opener “All We Got,” formally linking the two projects as companion pieces. Of course, Chance’s gospel is far purer and less conflicted than Kanye’s. Pablo filtered gospel music through West’s usual prism of paranoia and inner conflict, but Chance is too caught up in rejoicing to doubt himself. Coloring Book delivers one celebratory hymn after another, emphasizing the natural high that comes with feeling loved and watched over. Even in the songs that aren’t explicitly about religion, the church is omnipresent. It’s always there, announcing itself through giddy organs, uplifting pianos, triumphant horns, and choir choruses that promise to erupt at any moment. Coloring Book is the most pew-minded major rap release since… well, maybe somebody in the comments can complete that thought, but nothing else comes to mind. 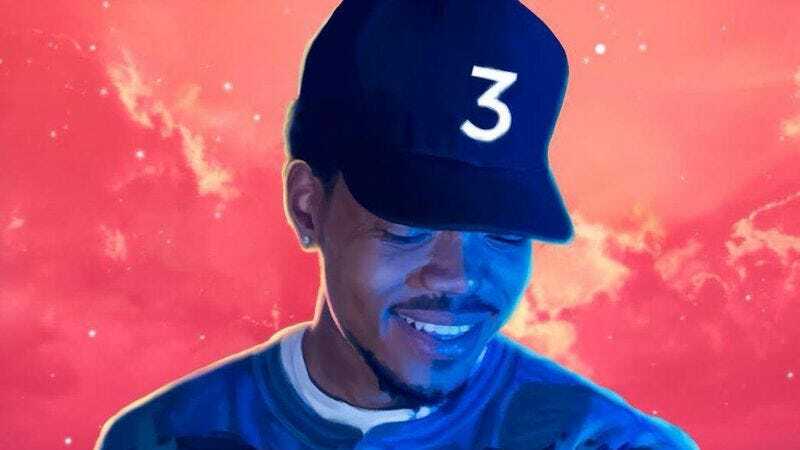 Chance has succeeded where two decades’ worth of designated Christian rap acts have failed: creating an ode to worship that speaks to the faithful and faithless alike. As on Surf, Chance is the clear center of the album, yet he also frequently makes himself scarce (a trick he seems to have learned from André 3000, the modern master of rationing his verses). That leaves plenty of room for guests, and Coloring Book boasts a very big tent. Lil Wayne echoes Chance’s distrust of major labels on “No Problem.” Jeremih sings a touching verse on “Summer Friends” (following some very Bon Iver-esque crooning from Francis & The Lights, another aesthetic trope Chance borrows from the Kanye playbook). No guest is given more weight than any other. Even Justin Bieber, Future, and T-Pain—personalities that tend to draw attention to themselves—blend seamlessly into their surroundings. 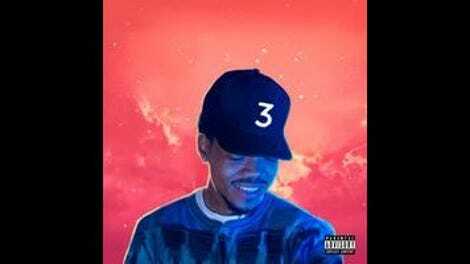 In Chance’s world all voices are equal, a mentality that, like so much of his sound, evokes the sunny spirit of early-’90s jazz rap. And amazingly, Chance’s vision is actually more inclusive than that scene’s ever was. Arrested Development never invited Ice Cube onto their albums, but Chance happily clears room for Young Thug and Lil Yachty. Like Kendrick Lamar, perhaps the only other contemporary rapper rivaling him right now in the critical goodwill department, Chance doesn’t rap all that much about his personal life. He drops just enough fragments of information to suggest the outline of a very sweet love story: He finds out his ex-girlfriend is pregnant, they work things out, have a wonderful daughter, and (hopefully) live happily ever after. “Me and my girl plan to stay till the end,” he raps on “Finish Line.” “Hope there never come a day when we better as friends / We in a marathon we can build a marriage on.” And if things don’t work out as planned—as he shares on “All We Got”—he just hopes the next guy can make her happy. It’s an incredibly sweet sentiment, and the kind of territory a lot of rappers stumble over—just look at how frequently Kanye reduces his wife to a status symbol, or how nasty Future turned after his split from Ciara. Chance doesn’t have that kind of vindictiveness in him, though; his default mode is wishing everybody well. He’s the kind of rapper who doesn’t just bask in his good fortune. He shares it.